caffyns-volvo has no other items for sale. 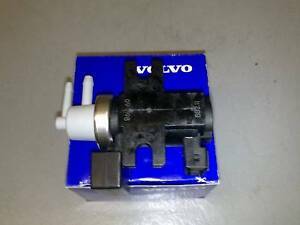 Volvo C30 2007 To 2009 Turbocharger & Manifold 1.6 Diesel OEM !UNDER 100K MILES! Welcome to caffyns-volvo Caffyns PLC, 46 Lottbridge Drove, Eastbourne, East Sussex. BN236PJ. Registered office - Caffyns PLC, Meads road, Eastbourne, East Sussex. 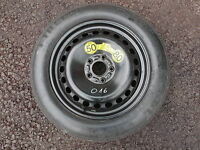 BN207DR If you need to contact us please e-mail - webparts56@caffyns.co.uk VAT registration number 661 9179 10. Caffyns PLC is a company registered in England, No. 105664 Please refer to rear of invoice for terms and conditions Please follow this link for distance selling regulations http://www.caffyns.co.uk/terms/view/1781/Distance-Selling If this agreement has been concluded without any face to face contact between us or anyone acting on our respective behalves, you have the right to cancel the agreement up to 7 working days following the day of delivery. If you wish to exercise this right you must contact us within the 7 days and return the part to us or make it available for collection at your cost without delay. Whilst in possession of the part you must take reasonable care of it and will be liable for any loss or damage. If we have agreed to accept a part exchange as part payment we have the option of returning this to you or paying the agreed allowance.